With the proliferation of YouTube you’ve probably seen at least one video of a TV news reporter getting their live, on-the-scene report interrupted by people in the background. 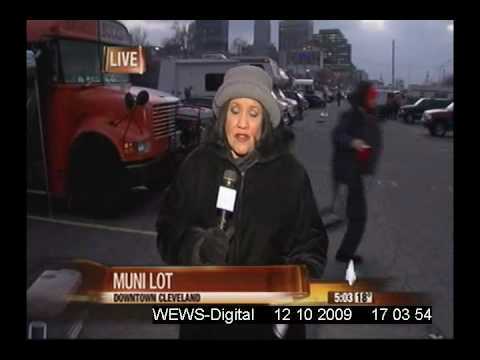 Why would the Muni Lot in Cleveland be any different before the Cleveland Browns vs. Pittsburgh Steelers game? 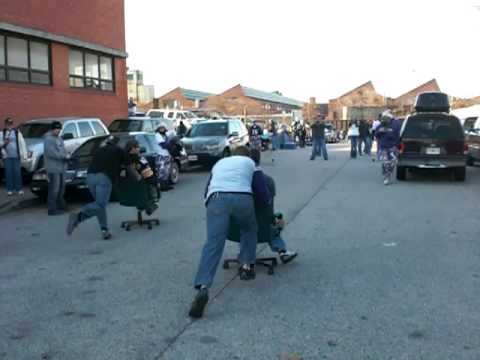 This could be a new tailgating game. 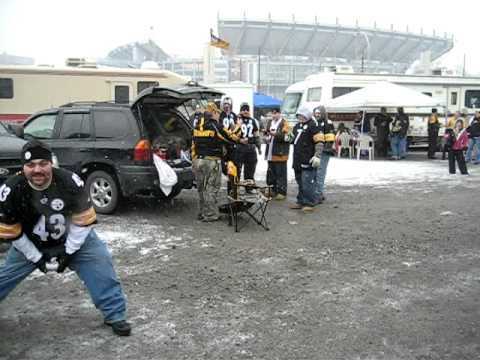 Then again, who brings office chairs tailgating? 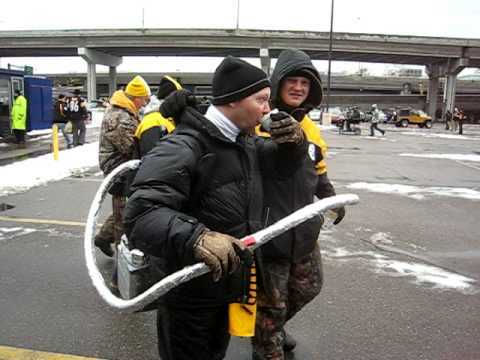 Something tells me this Steelers fan has a little more in the tank than just hot cocoa. These guys take chest bumping to the next level. What the “winner” gets is still beyond me.